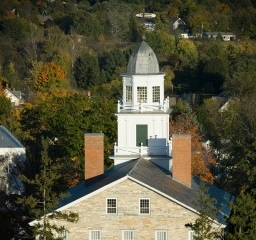 Access to a Middlebury education by a diverse student population remains a priority. Award-winning radio host and author will be one of five to receive honorary degrees at 2019 ceremony. The campus community gathered to socialize and peruse dozens of works on exhibit at Bicentennial Hall. At the annual International and Interdisciplinary Conference, panelists discussed how migration, whether voluntary or forced, affects people’s sense of identity and security. Much like a “reverse internship,” the professors of the practice bring their real-world experiences into Middlebury College classrooms.